The Kawcak family recently celebrated 100 years on the family homestead. In 1914, Panko (Paul) Kawcak was deeded his first piece of property in the United States. Three hundred and twenty acres originally were deeded for working and improving the ground. On Aug. 2, 1915, he wed Julia Biskup, and their life together began. Throughout the years, 16 children were brought into this world, of whom seven are still with us. Paul and Julia worked side by side adding land, farming wheat and raising cattle, pigs, horses and chickens. Through either selling or butchering, everything was used. There were 16 children, and everybody had a job. As the family grew, and with not enough room in the house, the older boys would live in the bunkhouse. And then the chores — you had to find the horses first just to do the chores. Planting and harvest was hard, physical work. While not unfamiliar with outside chores of milking and butchering for dinner, there was also sewing, cooking and cleaning for the girls. Almost everything was homemade and hand-done. As the siblings married, went to war or left to find their own way, the bunkhouse saw rotating roommates. This was a life few now remember, but we love the stories from those who do. Thank you and God rest Paul and Julia, you deserve it. The homestead is yet a working farm and ranch owned by Ivan Kawcak, one of the 16 siblings. Raising wheat, barley and cattle is still a viable living and one the family enjoys visiting. 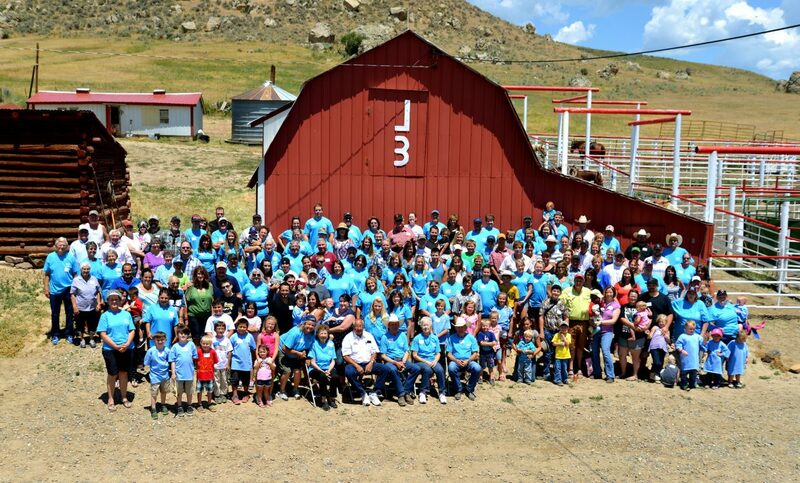 On July 4, 5, and 6, 2014, the Kawcak/Kawchack families celebrated the milestone with a reunion, with more than 180 family members in attendance — many of whom never had been to the property, nor the house that holds the four rooms of the original homestead building. They came together to see their heritage roots, reunite and meet family spanning six generations and six states. Many who live locally greatly pitched in on last-minute details. Still side by side, this family had a monumental reunion to be remembered. We sincerely wish to thank, and greatly appreciate, the following local businesses for their services: Chaos Ink, Carrie Hertzog Photography, Brother’s Custom Meats, Action Drain, Clarion Inn & Suites, City Market Bakery, Colorado Event Rentals, Mountain Air Spray, and B & B Welding. They did great, and we had a great time.